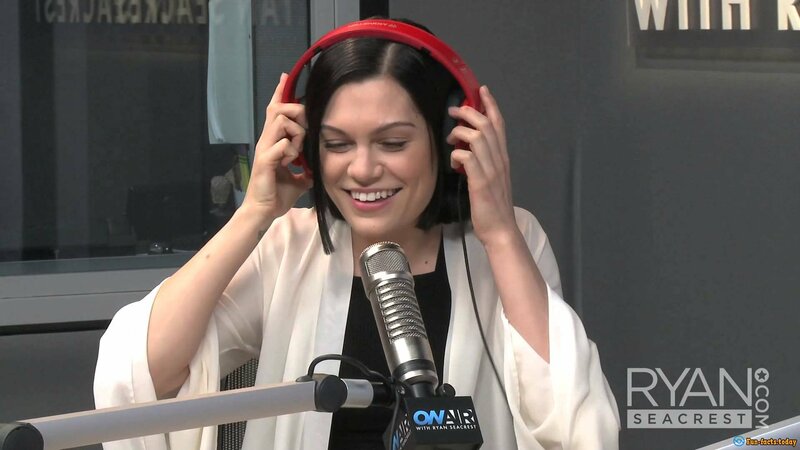 Jessie J is still considered to be a "newbie" by some experts in the music industry, even though she's been one of the biggest stars on the UK scene for more than half a decade. She has released 3 studio albums so far and every single one of them is a work of art, a carefully compiled set of emotions, feelings and desires. Yep, that's what her fans love to say :). Regardless of what people think, Jessie J is definitely a very talented and unique singer-songwriter. Sadly, there's not a lot of info about her on the Internet, but don't worry: I've gathered all kinds of "secret details" about her and so I'm proud to present to you my list of amazing facts about Jessie J - enjoy! - Jessie was born on March 27, 1998 - she's 28 years old. Her hometown is Chadwell Heath, London, the United Kingdom. Her real name is Jessica, but her surname is not J (what, did you really think it was?) - it's Cornish. She has two siblings - 2 sisters, both are older than her. When she was just 11 years old, the future superstar starred in Whistle Down the Wind. - Amazing facts about Jessie J: The singer graduated from the same class as two other big names in contemporary UK music industry - Leona Lewis and Adele. And, she used to be in a girls-band before she embarked on a solo journey. When Jessie was 18, she suffered a stroke! That's pretty crazy, am I right? - Her musical style is a combination of pop, R'n'B and even hip-hop. Interesting fact about Jessie J: She used to be signed with Gut Records and did a lot of songwriting for the label, including songs for Chris Brown and Miley Cyrus. However, when her first single, "Do It Like A Dude", saw the light of day, Jessie signed with Universal. But, her first breakthrough hit was "Price Tag", a really catchy song with a somewhat deep lyrical content. The song became #1 in 19 countries (including the United Kingdom). - More amazing facts about Jessie J: Her first album, Who You Are, debuted at #2 in the UK. By the way, she set a new record with this LP, as she had 6 top ten singles from the album on the UK chart! Jessie J said once that Rihanna's "Rude Boy" inspired her to work on it. - She sold over twenty million singles and three million albums worldwide! And, she has collaborated with artists like Cee-Lo Green, James Morrison, B.O.B., Brandy, Ariana Grande, Nicki Minaj, 2 Chainz, and others. Quite the list, right? - Even though she's been performing for a long time, she still gets panic attacks right before she has to step onto the stage. Ever wondered why the singer had shaved her head? She did it for charity. That's definitely an amazing fact about Jessie J! - She received her first-ever award back in 2011 - it what the BBC Sound award. - Jessie J was a mentor in the 1st and 2nd seasons of The Voice UK. - Jessie J is attracted to women just as much as she is attracted to men. There was some controversy around this matter, and some people say that it's just a "publicity stunt". Back in 2014 she announced that she wasn't attracted to girls anymore. Do you believe her?